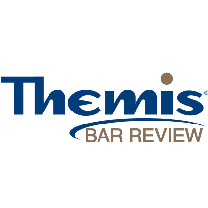 Themis Bar Review combines affordability with the flexibility of an online study program. An online study portal can be accessed from anywhere, and a mobile app allows users to download content in advance for times they find themselves without internet access. Themis prides itself on its high pass rates, suggesting that this course gets results. 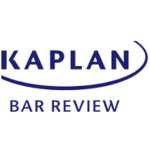 Themis Bar Review provides a great overview of a wide range of topics without overloading students with excessive material. Learners can tweak the suggested study program to meet their needs without being overwhelmed by too much information. One of the first online programs in its field, Themis capitalizes on its universal availability. The entire Themis program is compatible with virtually all devices, including smartphones, computers, tablets, and e-readers. The app is available for iOS and Android, making this course very portable. Video lectures are broken down into shorter, more manageable segments of 15-20 minutes to keep learners interested and focused. Based on research in instructional design and learning retention, Themis Bar Review presents information in smaller doses to prevent learners from becoming overwhelmed, and allows them to process information at their own pace. Themis has a price tag of $1,295 to $1,695 depending on which state and program you choose. While this certainly isn’t cheap, it costs less than the most other major Bar Prep courses on the market. There are no hidden fees or associated costs, and some students may qualify for an additional discount if they plan to work in the public interest sector. Discounts are also available for active duty, reserve, and retired military members, as well as members of certain law school and legal organizations. Although this course is aimed at learners who want optimal flexibility rather than a traditional classroom approach, several features help learners organize their time. A preset sequence of tasks, a to-do list, and a dynamic calendar keep learners accountable and on track. In addition, the myProgress tracker monitors which assignments have been completed. In other words, there is enough structure for those students who need it. Themis Bar Review is currently available in 44 jurisdictions, as shown on the map on their site. However, students from all states can take advantage of the online review materials Themis offers on their website. Themis publishes detailed pass rates by state on its website. Pass rates range from 70-90%, with the higher pass rates coming from students who complete 75% of the course before the exam. Themis is best suited for self-motivated learners who want the freedom to study on the go from a portable device. As the course is fully online, there are no classroom sessions to attend. Those who are working or have other obligations will benefit from this flexibility and the reasonable recommended study schedule (six to eight hours a day plus review on weekends). One nice option is the ability to customize your level of independent study. In the Directed Study mode, you have to complete a daily list of tasks. If you miss a day or more, the dynamic calendar makes changes to your schedule so you can catch up to where you should be. In the Flex Study mode, you can skip around and complete assignments on your own without a prescribed schedule. It is possible to switch back and forth between the two modes, depending on your schedule and what type of instruction works best for you. Hard copies of the Multistate Bar Exam (MBE), state outlines, the MBE Milestone and Simulated exams, and Performance Test (PT) questions and answers are provided as well. Visual learners can print hard copies of the handouts that accompany each lecture to take notes. 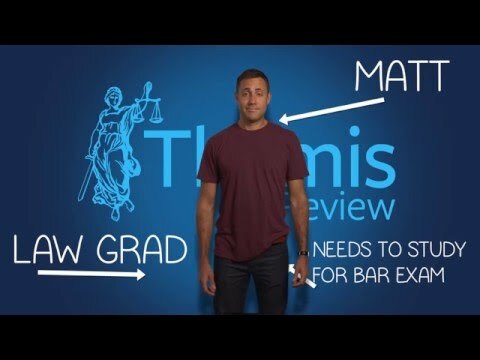 Themis Bar Review is a flexible and adaptable course with enough structure to keep students on track while they study for the bar exam. An early adopter of online learning, Themis supports more different kinds of devices than its competitors and has done the educational research to back up its approach. It offers a broad overview rather than an exhaustive review of all relevant material, which makes it ideal for those who want to concentrate on the big picture. Pass or a Free Repeat Guarantee for first-time Themis takers. Those who do not pass the bar the first time can take the course again at no additional cost. 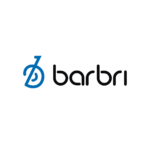 Full Course: $1,295 – $1,695, depending on your state and available discounts.